With robust technical product support, educational resources, and the best contracts available, ARG is the ideal partner to trust with your customers. 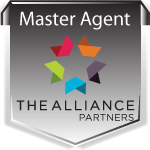 ARG strives to provide a superior agent experience through constant, meaningful communication and support. ARG also offers customized levels of on-going telecom support to meet your needs and the needs of your customers. While telecom service providers are cutting back, ARG looks forward to providing you with a complete service environment to help your business grow. Steve Murphy will assist with your product and carrier questions, or get you in touch with the right ARG resource. Steve can be reached at 703-770-2459. For help in escalating minor service issues, MACs or billing issues, contact customerservice@myarg.com. If you need assistance with a service outage, please call our 24/7 hotline at 703-770-2400. Steve Grimsley heads up our Customer Service Department and can be reached at 703-770-2418. If you are not getting the response you need from a carrier or ARG, please email escalations@myarg.com. Heather Campbell, 703-770-2411, is available to assist you with all escalations. Don't worry, if you choose the wrong mailbox for your request, we will get it redirected to the right ARG resource.